Anantapur:Extending support to the Agrigold victims, YSRCP MLC Vennapusa Gopal Reddy gave an assurance from the party saying that they had no reason to worry. The party's Agrigold Victims Support Committee at the Anantapur district Collectorate conducted an extensive meeting on Sunday to hold discussions regarding the people victimized by Agrigold. The meeting was chaired by the convener of the Agrigold Committee of Anantapur Korapadu Hussainpura. Speaking on the occasion, Vennapusa Gopal Reddy said that the state government has neglected the victims of Agrigold for the last four-and-a-half years and have failed to solve their problems. Stating that AgriGold scam is one of the largest financial scams in the state history, he said that the company has maintained its operations in eight states collecting Rs 6,780 crore deposits from the poor and the middle-class people. 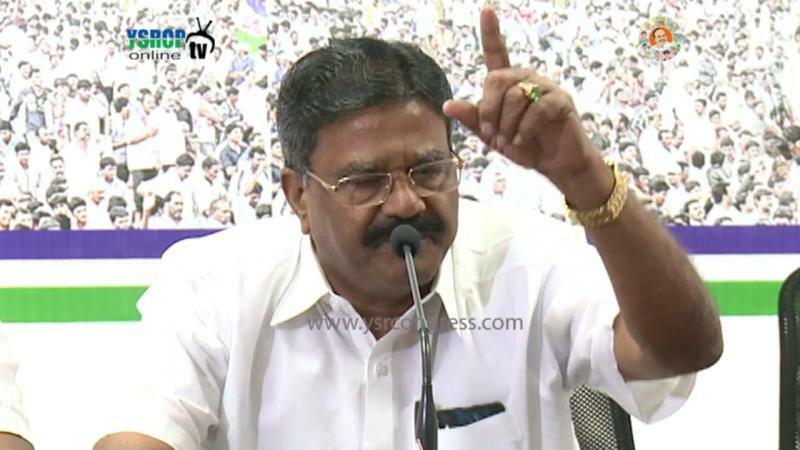 However, Vennapusa Gopal Reddy assured that YSRCP will stand up to the government. The party MLC shared that YSRCP has taken up the task to collect the details of the victims and that a special application will be created to prepare the list. According to YSRCP, a special center has been set up at the party office of the district to collect the details of the victims.